Getting divorced without involving attorneys can save thousands of dollars in legal fees as well as time. To successfully divorce without an attorney, you need to familiarize yourself with your state's divorce process and know what to do if your spouse fails to cooperate. You can typically find all the forms you need to file for divorce on the website of the court where you intend to file. The forms generally come with detailed instructions and are available for free download. You can also use an online legal document service to prepare and file your paperwork. Every state has its own requirement for how long you must reside in the state before you can divorce in its courts. For example, in Florida, either you or your spouse must live in the state six months, but in other states the time period is shorter. Residency requirements are usually available on your family law court clerk's website and in your state statutes. Make sure you can divorce in your state before going any further. To begin the divorce process, you must fill out and file either a complaint or petition for divorce. The petition typically includes your reason, or grounds for divorce, as well as the terms you desire in your divorce such as property division and child custody. You must then serve this form on your spouse usually along with a summons. Once your spouse is served with the divorce papers, it's his turn to act. If he files an answer to your petition denying the truth of anything you said in it, the divorce becomes contested. If he files an answer agreeing with everything you said, or if he does not file an answer at all, the divorce is uncontested. Either way, there are additional forms that the court requires you file after your spouse has had the opportunity to file his answer. These may include a financial affidavit, a proposed property settlement, and a proposed parenting plan. If your spouse agrees to everything in your petition, the divorce becomes simply a matter of negotiating and filing a final property settlement agreement, a final parenting plan, and asking for a hearing. Some states require both spouses to appear at the final hearing, especially if they are both unrepresented by attorneys. At the hearing, the judge signs your unified agreement and you are divorced. If your spouse does not respond to your petition within your state's required deadline, you may file for a default divorce. With a default divorce, the court will typically grant you everything proposed in your paperwork, as there is nothing on file from your spouse asking for a different result. Divorcing with no attorneys is harder when your divorce is contested, because there is no buffer between you and your spouse to help facilitate negotiation. If you can't agree on property division and the terms of a parenting plan, there is nothing left to do but ask for a hearing and let the judge decide. Some states require mediation. If you reach an agreement on all issues at mediation, the mediation agreement becomes your unified property settlement and parenting plan. Depending on your state's requirements, one or both of you may have to present it to the judge for signature. If no agreement is reached, you must ask for another hearing, at which the judge makes all decisions and finalizes the divorce. An uncontested divorce is exactly what it sounds like: neither spouse is objecting to the dissolution of the marriage. However, New Hampshire takes this one step further. 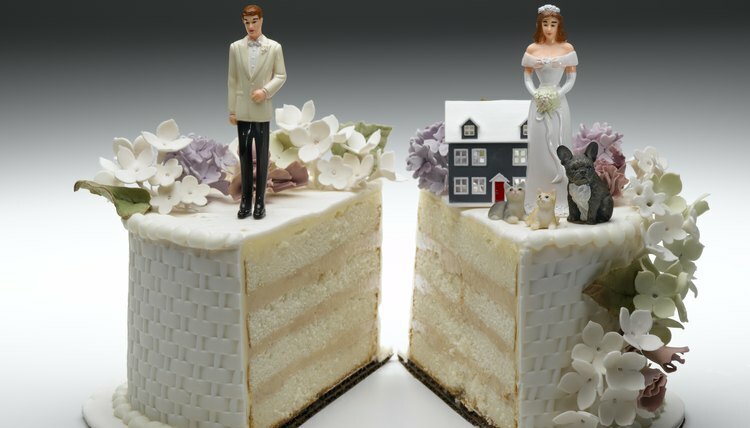 You and your spouse must also agree on every detail of how you’re going to separate your lives. If you can’t reach an agreement, your divorce is contested. Even if you and your spouse are only disputing one small detail, the law requires a judge to decide that one small detail for you.